JASNA Cen Cal events are often a combination of Book Discussions, Community Talks, and Social Events. 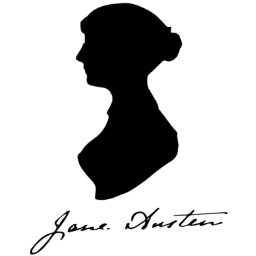 “You can Get a Parasol at Whitby’s”: Circulating Libraries in Jane Austen’s Time. Saturday, January 19, 2019. 1 p.m. – 4 p.m.
Woodward Park Library, Fresno. Free and open to the public. March 23, 2019 at 1 p.m. – 4 p.m. Woodward Park Regional Library, Fresno. Free and open to the public. An Exploration of the Regency Wardrobe with Brooke Aiello. WHEN: Saturday, June 15th. Time, location and further information TBA. Meeting and Book Discussion on Sense and Sensibility. WHEN: SATURDAY, AUGUST 24, 1 p.m. – 3:30 p.m.
Saturday, October 12. 1 p.m. – 4 p.m. Location: TBA. Free and open to the public. This program seeks to discuss Mr. Darcy in pop-culture, starting with the novel itself, charting a course through movies, television and more to highlight the odd legacy that has developed around Jane Austen’s beloved hero. October 4 – 6, 2019. Williamsburg, VA. JASNA’s national convention of Janeites gathers in Virginia to study Austen, share ideas, and meet friends, old and new. Only JASNA members are invited to attend.